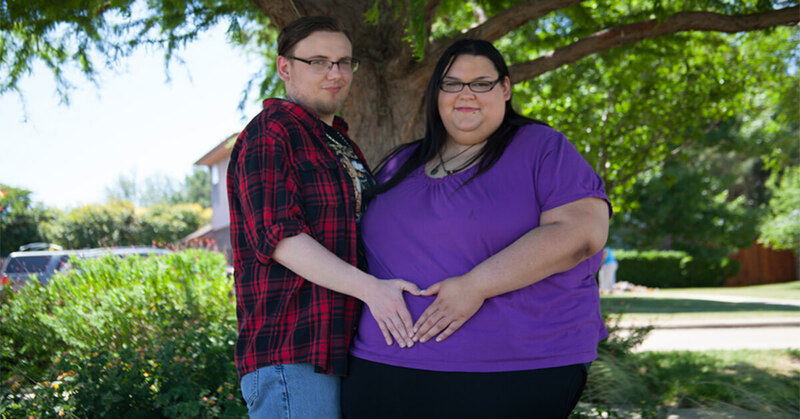 When you find out you’re pregnant, it’s a pretty freakin’ big deal… but when you already weigh 700+ pounds, it’s absolutely terrifying! Getting the confirmation that you’re going to have a baby is one of those moments that really forces you to take a step back and look at the type of lifestyle that you’re living. You start to identify ways in which you can improve things in order to give your soon-to-be child the best possible start. That could mean exercising a little more, just so you avoid them running rings around you… Perhaps it’ll be the diet too? It’s important to eat the right stuff when pregnant after all so that the baby receives all the necessary nutrition it needs to grow healthily. 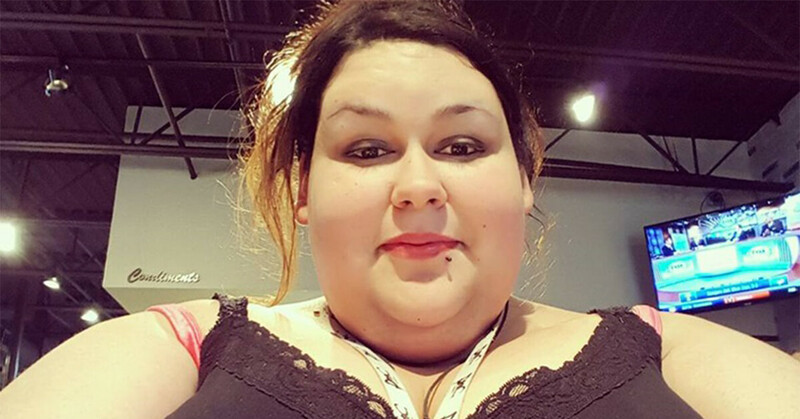 She’s a 29-year-old woman from Fort Worth, Texas, who wanted to become the world’s fattest woman. She was well on her way to achieving that goal too, weighing in at a staggering 700 pounds (317 Kilograms). She made people sit up and take notice across the globe when it was revealed that her daily diet consisted of a whopping 10,000 calorie intake every single day! As tempting as it is some days to stuff your face after a stressful day at work, attempting to become such a large lady (to put it lightly) is no easy task. Monica was supported in her efforts to reach such an unusual goal by her husband, Sid. 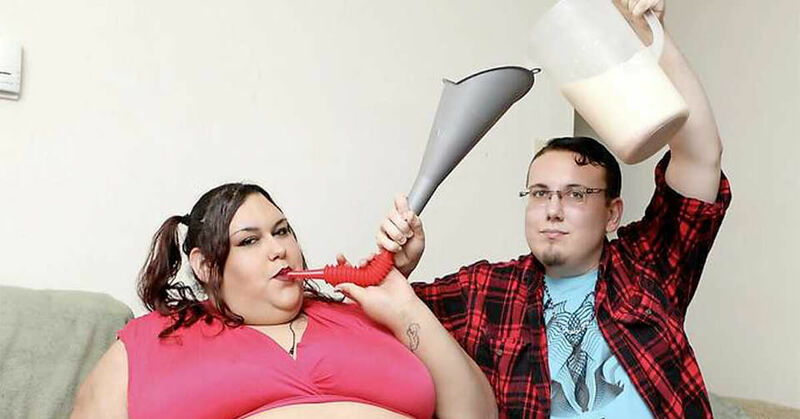 He would help her to consume monumental amounts of food continuously. Now you might be thinking “would that not give you painful jaw ache, chewing on so much food every day?“. Well, a big part of her daily diet consisted of 3,500 calories worth of milkshakes. So, no need to chew, just slurp it down… I like a nice chocolate milkshake on a hot day, but 3,500 worth?! No thanks! What’s more is Monica would have Sid actually feed them to her through a funnel, helping her to fill out as quickly as possible. Naturally, she was becoming so big that her movement became more and more restricted, which for most people would be an absolute nightmare. But Monica actually loved her lifestyle. Her intentions were to become so unbelievably big that she’d be completely immobile and therefore almost completely dependant on Sid, who did nothing but encourage her. Monica explained to Barcroft TV one of the reasons for her targetted weight: “What attracts me to being immobile is you get to be like a queen”. 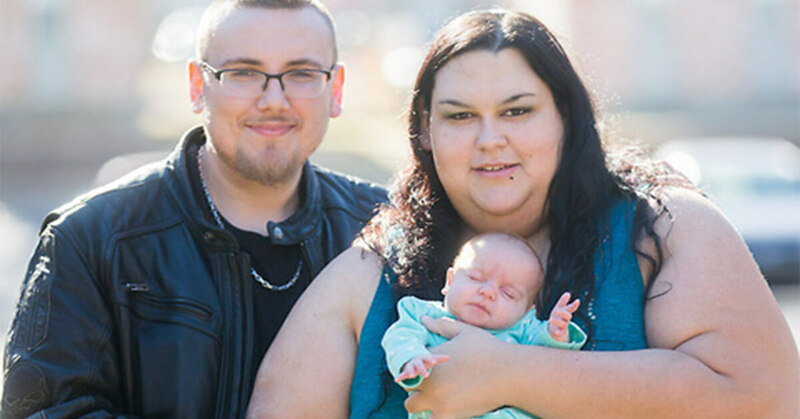 Despite the confident front though, Monica was hiding a heartbreaking truth; she had been diagnosed with Polycystic Ovarian Syndrome (PCOS), an incurable hormone disorder which meant that she would find it difficult to conceive a child. She’d already suffered two miscarriages and had decided that her dreams of motherhood were dead in the gutter. So, she’d shifted her focus to becoming the world’s fattest woman instead. Against all the odds… Monica discovered she was pregnant! On hearing the magical news, she knew that the baby was far more important than her quest to become so fat that she couldn’t leave her bed! She finally had the chance to become a mother after all, something she’d wanted her entire life. So, the mother-to-be decided she was going to make sure that this opportunity wasn’t going to be squandered. She made the choice to change her entire life around and within the space of just ten short weeks, she’d made such a difference to herself that people quite literally couldn’t believe their eyes. Monica had lost the best part of 200 pounds! Of course, this could only be the start of a long journey back to a healthier weight, she had weighed 700 pounds after all. 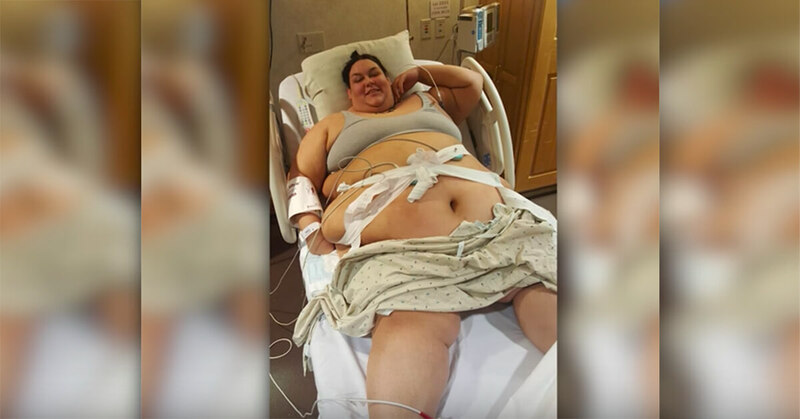 And, at a weight of 500+ pounds still, doctors were extremely worried about her welfare when just seven weeks before her due date, she was rushed to hospital with a high blood pressure. They kept a watchful eye on her and fortunately no further complications arose… Until, all of a sudden and completely unexpectedly Monica went into labor, seven weeks early. Little baby Michelle arrived safely but not without complications, as she was extremely premature. She had three holes in her heart, but thankfully they all managed to heal naturally without needing surgical attention. Phew! Now, finally a mother, Monica has since carried on placing a huge focus on expending all of her energy raising her precious daughter, rather than drinking milkshakes through a funnel. As a result, the weight continues to tumble and she’s currently around the 450-pound mark and dropping. It’s not been an easy road so far for Monica, but she seems determined to make things right. By understanding her eating habits, we can empathize with her situation and try to understand rather than immediately judge and begrudge. Monica revealed that the birth of Michelle has potentially saved her life and ended the negative spiral that she didn’t even know she was in, in the first place. She’s planning potential weight-loss surgery to aid her attempts to come down to a healthier size for the sake of her daughter and for the sake of her own health too. It’s easy to disagree with her original life choices but it is at least reassuring to know that she is now putting her daughter first. Sometimes we can find ourselves going down a path we originally had no idea was a bad one. Sometimes it can take something as significant as having a child to help us open our eyes and realize that things need to change. Monica is definitely doing her best to continue heading in the right direction. 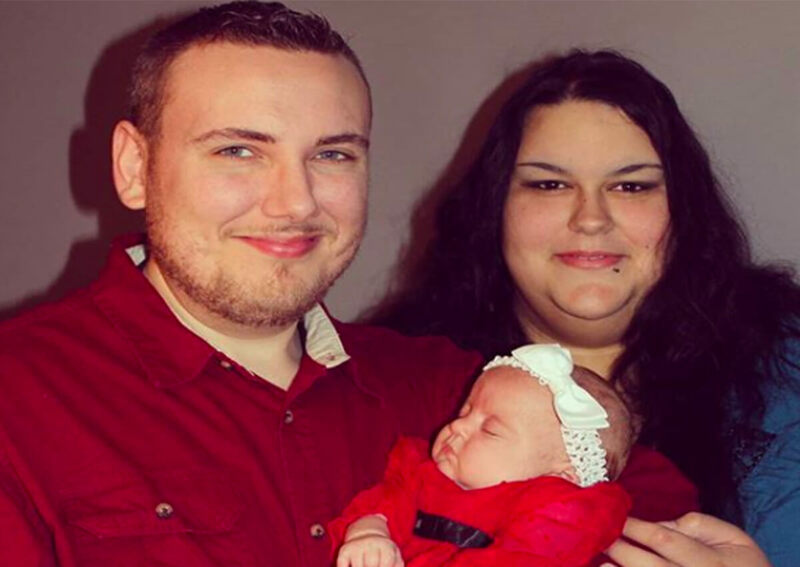 What do you think of this woman’s pregnancy weight loss story? Have you ever gone through an amazing weight loss transformation of your own? Have you ever struggled to lose weight but finally found a way that worked for you? Let us know what you think in the comments and don’t forget to share this article with your family and friends!